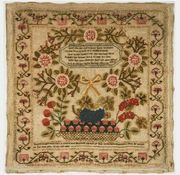 Sampler Definition : The word sampler dates from the 13th century. 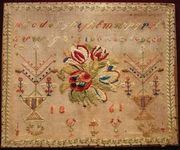 It comes from latin Exemplarium through French Essamplere which means 'an example to be followed.' 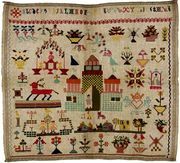 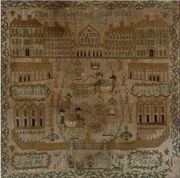 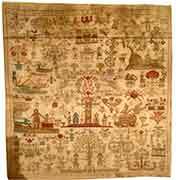 This is piece of embroidery worked in various stitches to show skill, typically containing the alphabet and some mottoes.